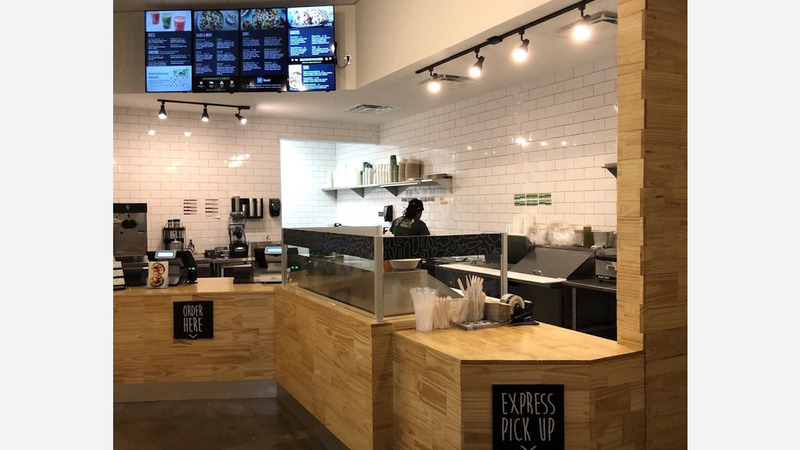 A new smoothie, breakfast and lunch spot, offering bowls, salads, wraps and more, has made its debut in the neighborhood. The fresh addition to the Heights, called Freshii, is located at 4720 Washington Ave. This newcomer--which has more than 300 locations in 20 countries--specializes in healthy and affordable fare using "superfoods like kale and quinoa" and more. The menu is extensive to expect to see a variety of options, like a wrap with spinach and romaine, mango, edamame, broccoli, and crispy wontons with an Asian sesame dressing; the "Buddha Satay" with rice noodles, broccoli, carrots, and cabbage in a spicy peanut sauce; a burrito with brown rice, aged cheddar, black beans, red onions, and spicy yogurt sauce; and a banana nut smoothie with walnuts and almonds. With just one review on Yelp thus far, Freshii currently has a five-star rating. Justin A., who was the first Yelper to review the new spot on January 3rd, said: "Freshii is a great option for healthy eats. I love that they opened a new location on Washington! My only con about the Freshii fast food restaurant chain is that it's quite expensive, but you pay for what you get." Intrigued? Stop in to try it for yourself. Freshii is open daily from 11am-9pm.